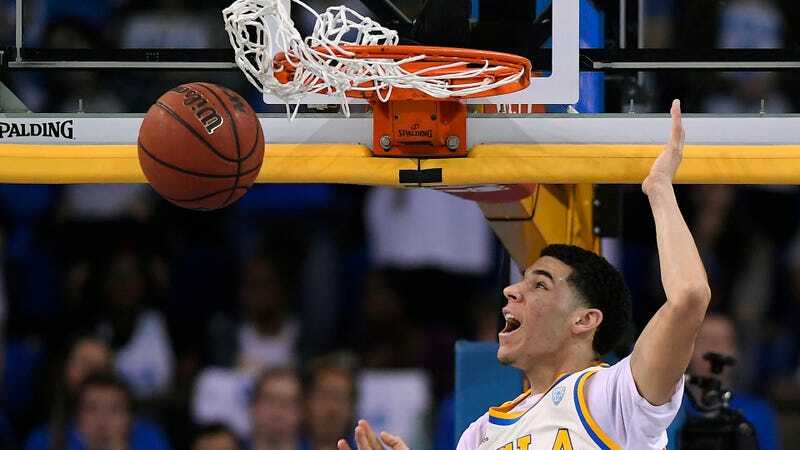 Celtics GM Danny Ainge went on the radio this morning and revealed that NBA draft prospect Lonzo Ball has informed the Celtics that he will not work out for them before next month’s draft. It’s hard to think up a less meaningful pre-draft story than this. The Celtics have the first pick in the draft and by all accounts appear to be all in on Markelle Fultz. Ball has made no secret of his desire to play for the Los Angeles Lakers, who own the No. 2 pick, and so not working out with the Celtics is one small way for him to ensure that the Celtics don’t go rogue and prevent him from falling one more spot in the draft. (If you find this sort of maneuvering to be silly, petty, or unbecoming, perhaps you should consider that such pre-draft posturing is only necessary when young players are forced to enter the league through an archaic and immoral draft system that exists only to strip them of their agency and depress their salaries.) The spiciest way to read this is that the Ball family is just trying to put a power move on the Celtics and hype up the Lakers-Celtics beef. That’s good entertainment!